What should I do if I get into a car accident? What should I not do? After a car accident, especially a severe one, you’ll want to immediately deal with any emergent medical issues. There may be an ambulance, of course. You may be taken to the emergency room, and you may be admitted in the hospital. Your emergent medical issues are obviously the first major thing you must address. The next step is to call a lawyer. Most car accident personal injury lawyers are going to work on a free consultation‑type basis so you don’t have to worry about putting up any costs at first. 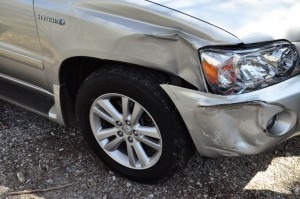 It will help you and your lawyer if you or a loved one takes photographs of the scene where the crash occurred and then of the vehicle damages. Any photos or signs of the condition of the roadway can also be very helpful. Depending on what’s going on medically, that would be a big, helpful factor, to have photographs of the area where it occurred. One major thing that you should NOT do after being involved in a crash is provide a statement to anyone. You obviously have to provide a statement to law enforcement if they ask it ‑‑ the police officer that arrives at the scene or they may even come to the hospital to get a statement. You are required to provide a statement to law enforcement, but a lot of times an insurance company will call. Sometimes they’ll come in person to your home or to the hospital and try to get a statement. Often they will call you on the phone. Politely tell them NO, you’re not willing to do that at this time, and turn them away. These statements will be recorded and when you’re vulnerable and in the midst of the anxiety and stress of an injury after a crash, you should not be relaying any information to an opposing insurance company. Whatever you’ve told the insurance company is reported and can be used against you later. helpful things to bring to your first meeting with your lawyer includes any diagnosis you’ve been given after the crash, a list of providers (the healthcare providers) which would include the ambulance district, the hospital you were taken to, your primary care doctor, and follow‑up healthcare providers you’re going to or being sent to, and any follow‑up instructions, photographs, if there are any, of the vehicle or the scene, a police report or a police report number, that’s always helpful as well. If you have any, bring information on the other parties involved and their vehicles, whether it is the number for their insurance company or their car model. People often forget their car insurance info, but that has important details you’ll probably need. That doesn’t mean it’s your fault, but people have uninsured motorist coverage, they have underinsured motorist coverage. They also have medical payments coverage on their policies that they may not be aware of can be of assistance. All of those things may be helpful in either paying the medical bills or in pursuing some claims down the line. For more information about what to expect after a car accident and what to bring to a consultation with your personal injury attorney, contact our local St. Louis personal injury law firm.